« How Much do You Know about Home Security? A home theater system increases the value of your home. Picture this. You are about to sell your home but realize that other houses in your community are going for and listed at a higher price. You instantly begin making home improvements and additional repairs to your home but the list of potential buyers is not getting any longer. The investment and installation of a home theater system will immediately increase your home’s value and make you stand out amongst your competitors in a heavy real estate market. Before we explain how a home theater system can increase your home value. It is important to know exactly what a home theater system entails. By definition, a home theater system consists of various audio and visual equipment that is aimed at replicating the movie theater experience. 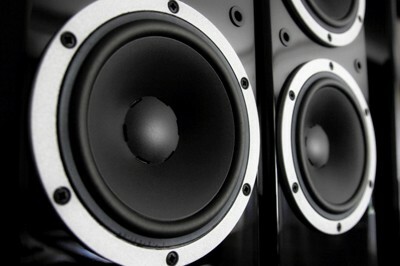 Now, we will detail in short how a home theater system can increase your property’s value. First and foremost, a fully furnished basement and open floor plans with large family living rooms has become a popular must-have for prospective purchasers. An added home theater system to a finished basement and/or bonus room can make your home more desirable than others similar in price and space. Second, by incorporating a home theater system into your house, people can visualize and easily picture entertaining family and friends for multiple movie nights and popular sports matchups thus making your home add value that other property’s may not be able to offer. Last but not least, to make your home more enjoyable and more valuable, it is imperative you create the right acoustics and ambiance. If the system is in an apartment building with several floors and nearby neighbors, the room in which your home theater system is located must be soundproof thus increasing the value per square foot of your space. On the contrary, if your home theater system is in a larger place of residence, property value will increase because sound does not have to be controlled as much and more space can be allotted for additional parts and different features. Additionally, make sure the correct lightning is equipped in the room and that there is enough seating for family and friends. security system for your Maryland home, we also offer home theater services, home automation services, and central vacuum services. Integrated Technologies Group now provides the states of Maryland, Pennsylvania, Virginia, Delaware, and West Virginia with home security systems. Want to get started with Integrated Technologies Group? Call us today at 1-800-560-3280 or visit our online contact page. We will find the location closest to your home to ensure you receive efficient and quick service. This entry was posted on Monday, November 23rd, 2015	at 2:39 pm	and is filed under News	. You can follow any responses to this entry through the RSS 2.0	feed. Both comments and pings are currently closed.